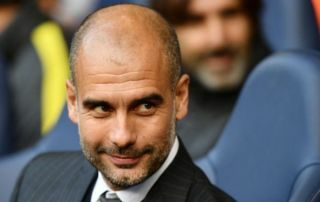 Manchester City boss Pep Guardiola gave a lot of credit to newly promoted Fulham after they lost 3-0 at the Etihad on Saturday in the Premier League. Goals from Leroy Sane, David Silva and Raheem Sterling earned City their fourth win of the 2018-19 campaign and condemned Fulham to their third defeat. Guardiola’s men created a hatful of clear goalscoring opportunities but squandered many of them, after scoring twice in the first twenty minutes of the contest. FULL-TIME | Three goals and three points. Maybe could have been more, but we’ll take it! Well done, boys! ? However, Fulham were not content to simply sit back behind the ball with 11 men against their more illustrious opponents, which was the key reason behind Guardiola’s praise for the Cottagers post-match – according to the Evening Standard. The Spaniard told reporters: “I give a lot of credit to Fulham. Fulham asked a lot from us because they want to play. “They will cause a lot of surprises in the Premier League, so I give a lot of credit for what we have done to win. “3-0 is a good result – but we created a lot of chances to score five, six or seven goals. The result means that City remain two points behind Liverpool and Chelsea at the top of the table after their rivals also picked up wins against Tottenham and Cardiff City respectively on Saturday. The Citizens strolled to the title last year, finishing 19 points ahead of Manchester United in May, but if the early stages of the new season are anything to go by they are likely to face a tougher challenge this time around. On the European front, City have been drawn in Group F in the Champions League alongside Shakhtar Donetsk, Hoffenheim and Lyon, as they prepare for their latest assault on the competition following their quarter-final exit against Liverpool last term. They kick-off their campaign on Wednesday night against Lyon, before returning to Premier league duty next Saturday against another of the newly promoted clubs, Cardiff City. Supporters will be expecting wins in both matches as the team strives for more success on all fronts to emphasise their position as the dominant force in English football.